Every week, the Bureau of Development Services publishes lists of Early Assistance applications, Land Use Reviews and Building Permits processed in the previous week. We publish the highlights. This post covers October 16th to October 22nd, 2017. Proposed development of a split zoning site, CG and R5. four story apartment building (20 units or more) on the GC portion of the site and 2 new single family homes on the R5 portion of the site. All existing structures on site to be demoed. 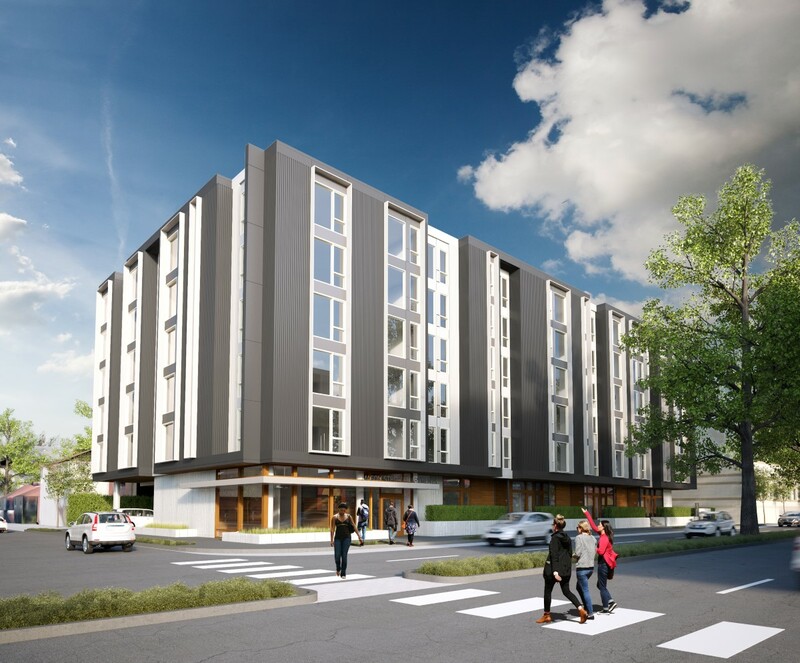 Current code – New apartment building with 146 units including 22 affordable units. Current code – Proposed project is 15,329 SF new four story mixed use building. Current code: New 4-story, 18 unit multi-family housing building. Current Code: Propose a 200-room lifestyle hotel, located on the eastern portion of Parcel G Cascade Station. The hotel will have a straight orientation and primary frontage along NE Cascades Pkwy. To include (approx.) 180 parking spaces, a curbside drop-off on NE Cascades Pkwy, ground-level amenities, and an off-road trail along the southern portion of the property. Current code: New 14 unit apartment building – follow up questions from EA 15-189166 Appt.